There is an excellent chance of seeing bald and golden eagles, Canada geese, and wood ducks from fall through spring. Background: The best wildlife viewing is on the lake by way of boat. Road access is limited to the boat ramp areas near the dam. There is no road access along the 24-miles shoreline (see Site Description for additional details). The Habitat: Six vegetative cover types occur in the foothill area around Englebright Lake. They are: chaparral (5%), grassland (5%), oak woodland grass (50%), oak woodland chaparral (25%), oak woodland yellow pine (10%), and riparian (5%). The oak woodland grass and oak woodland chaparral are characterized by species such as interior live oak, blue oak, grey pine, coffeeberry, poison oak, wild oats, rye grass and chamise. On north facing slopes, yellow pine, pacific madrone and black oak commonly occur. Wildlife and Where to Find It: Road access limited to the boat ramp areas near the dam. Most wildlife viewing is along the 24 miles of shoreline that is accessible only by boat. Viewing Tips: There is an excellent chance of seeing bald and golden eagles, Canada geese, and wood ducks from fall through spring. Dozens of turkey vultures can be observed soaring on afternoon thermals above the Yuba River canyon walls. Western grebes and mallards are present in the spring. Some songbirds are visible year-round, but the best viewing is in spring and fall. Ospreys, hawks, woodpeckers, upland birds and mammals are common residents at the park. Site Notes: Englebright Lake is nestled in the scenic Sierra foothills in the steep Yuba River gorge known as the Narrows. Hawks and turkey vultures can be seen gliding on rising air currents above the 260-foot tall thin-arch dam that forms the lake. Most areas of the park are accessible only by boat. The 9-mile long lake is a popular weekend destination for boaters and campers. On weekdays and during the off-season, there are great opportunities to view wildlife, particularly on the upper end of the lake where there are sandy beaches and beautiful rock outcroppings. 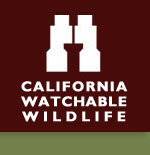 Nearby Viewing Sites: South Yuba River State Park at Bridgeport and the Spenceville Wildlife Area. On site: National Public Lands Day, The Great Yuba River Clean Up. Off site: Nevada County Fair, Yuba County Fair. Road Hazards: Steep grade use low gear. How to Get There: From Grass Valley, CA: Travel west on CA-Hwy 20 for 12 miles, Turn right (north) on Mooney Flat Rd. for 2.5 miles, Turn left (northwest) into the Narrows Recreation Area, follow signs to Park Headquarters. From Marysville, CA: Travel east on CA-Hwy 20 for 20 miles, Turn left (north) on Mooney Flat Rd. for 2.5 miles, Turn left (northwest) on Englebright Dam Rd. for 0.5 mile, follow signs to Park Headquarters. Physical Address: 12896 Englebright Dam Rd.